According to Cayuqueo, the recent rescue of the Chilean miners overshadowed the Mapuche hunger strike that ended just over a week ago. The strike began on July 12. Thirty-eight Mapuche prisoners were protesting the Chilean government’s use of an anti-terrorism law to criminalize their attempts to reclaim what they considered their ancestral land from the forestry industry. 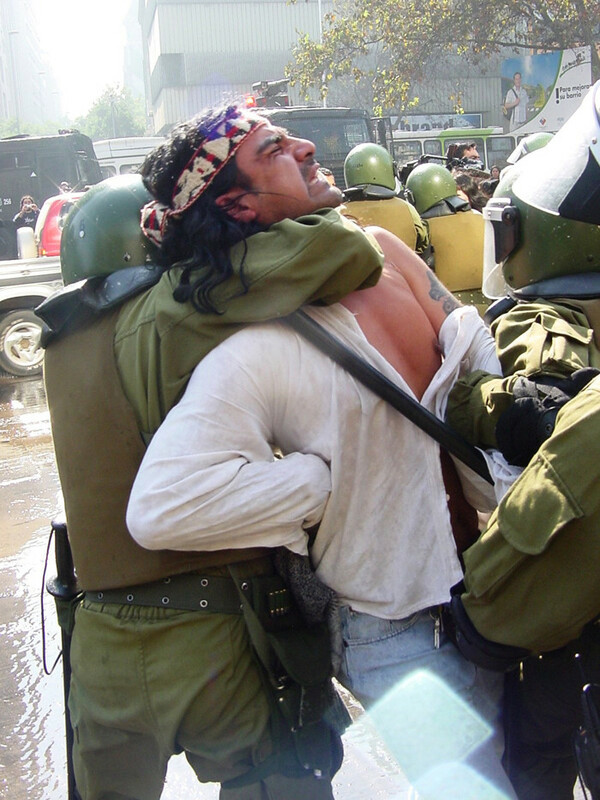 Armando Navarette, of the Mapuche National Support Committee, said the anti-terrorism legislation allowed the Chilean police to jail suspects under the presumption of terrorism with a trial by military tribunal rather than civilian court. On Oct. 5, 24 of the prisoners ended their strike after certain amendments were made to the Chilean terrorism laws. The remaining Mapuche said they were willing to starve to death to see significant change. Cayuqueo, who also spoke in Toronto and Winnipeg recently, had plans to tour Canada in 2005 but was arrested and jailed days before his departure. There was much speculation among the Mapuche people that Cayuqueo, at the time of his arrest, was detained to disrupt his trip to Canada. When members of the Movement in Support of the Mapuche Cause got word that Cayuqueo would be visiting Canada, they immediately tried to contact him so that he could stop in Montreal. “I was so impressed by the silence [regarding the Mapuche hunger strike in the media],” said member Alejandro Cervantes. Along with his objective to raise awareness about the governmental issues that surround the indigenous people of Chile, Cayuqueo’s aim was to improve communication between the natives of North and South America with the tour. During his stay in Montreal, he met Stuart Myiow, Wolf clan representative from the Mohawk Traditional Council in Kahnawake. One of the obvious conflicts the Mapuches and Mohawks have been historically faced with is the destruction and plundering of their land. Myiow sees the first step as being to record and exchange visuals of each tribe’s ceremonies in order to obviate the need for trips between continents.